Bulldog Brewer - automatic beer making! 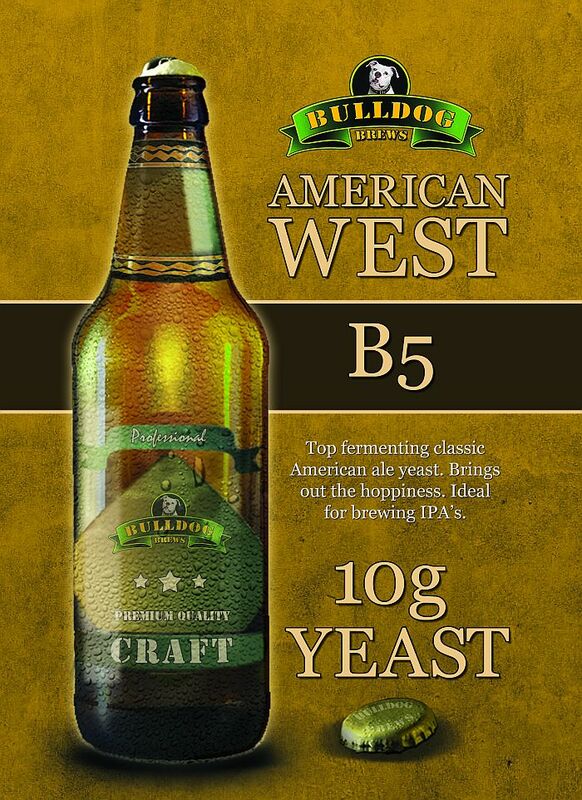 Available everywhere, at all major home brew retailers in Europe! 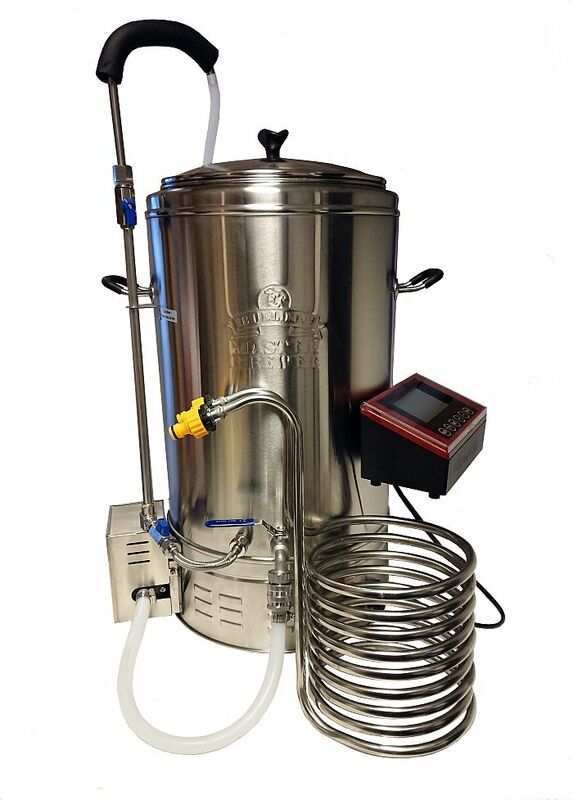 The Bulldog Master Brewer - first ever affordable all in one complete grain brewing system for home beermaking. Everyone can now become a master beer brewer without any previous skills! RRP typically max £650. Similar products have been available for a while, at prices from £750 and up, some even at £1500! For trade orders we have competitive wholesale pricing - contact us! 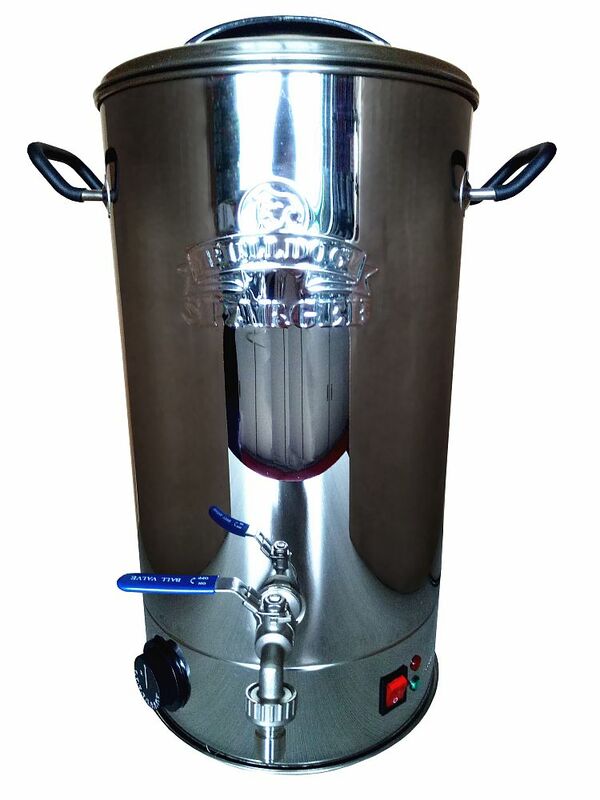 Start with crushed grain, then mash, lauter, sparge, boil and cool, all in the one high quality stainless steel unit. Gain full control over your brewing, from ingredients through to the final beer of any type or style. The options are limitless and the world is your pint! Bulldog Master Brewer has automatic temperature control and handles the timing for you. Simply set your mashing temperatures and rest times and other things - you can program up to 9 steps in detail. Leave the Brewer to sort out the mashing for the set time while the pump slowly circulates the wort, let the Brewer handle the boiling, the cooling - everything can be programmed! After mashing, lautering (draining) is easy. Just lift up the inner malt pipe (the inner bucket with straining bottom) and fix it in the top position and let the wort drain into the main brewer. Use pre-heated water to rinse out the last goodies from the malt, by slowly pouring it over the malt bed, still with malt pipe in top position. Or buy the Bulldog Sparger which does the pre-heating for you and connects easily to the Master Brewer. Clean out the malt pipe from the used malt, put it back and add hops and let the Brewer continue according to your program. Simple as that! Finally, use the spiral wort chiller to rapidly cool your wort down to fermentation temperature, transfer to fermenter, pitch the yeast and that is it! Double wall construction - no "jackets" required. Tempered glass lid for full control of what is going on. Bulldog Controller can be detached and placed on table top. We have collected some links here (click headline) for quality goods and services, related to home brewing of wine and beer. Hambleton Bard wholesaler of home brew products. 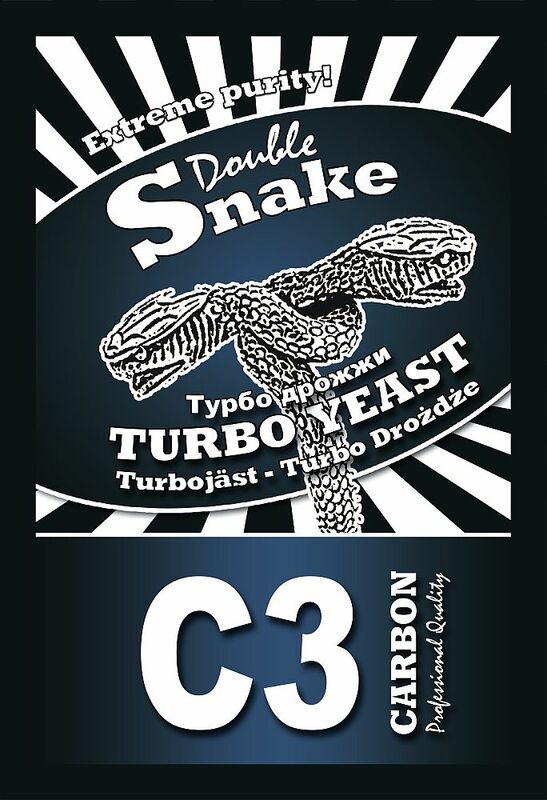 We manufacture and supply super quality homebrew wine kits, homebrew beerkits, high alcohol products, turbo yeasts (turbojäst, superhiiva, turbodrozdze, turbohefe), pressure barrels (kegs) etc for the homebrewer. We are experts on activated carbon and essences for your home fermented alcohol such as the Alcotec Spirit Kit. 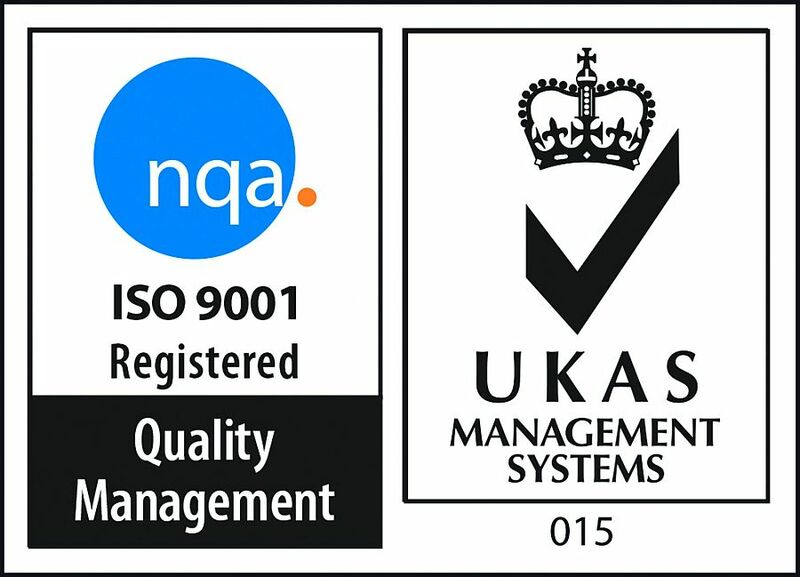 We are the worlds leading manufacturer of Turbo Yeast for home distillation (moonshine as it used to be called before the hi-tec still days - if you want to know how to make moonshine, or how to use an alcohol meter, this is the right place). Note that you must of course comply with the law in your country of residence. Distilling your own alcohol is legal in many countries around the world but there may be limitations (usually a max amount allowed to be distilled) or you may have to pay alcohol duty. Then again, it may be outright illegal in some countries. You must not use our products in any way which may be illegal in your country and you must comply with all regulations, pay all duties and obtain all licenses required. 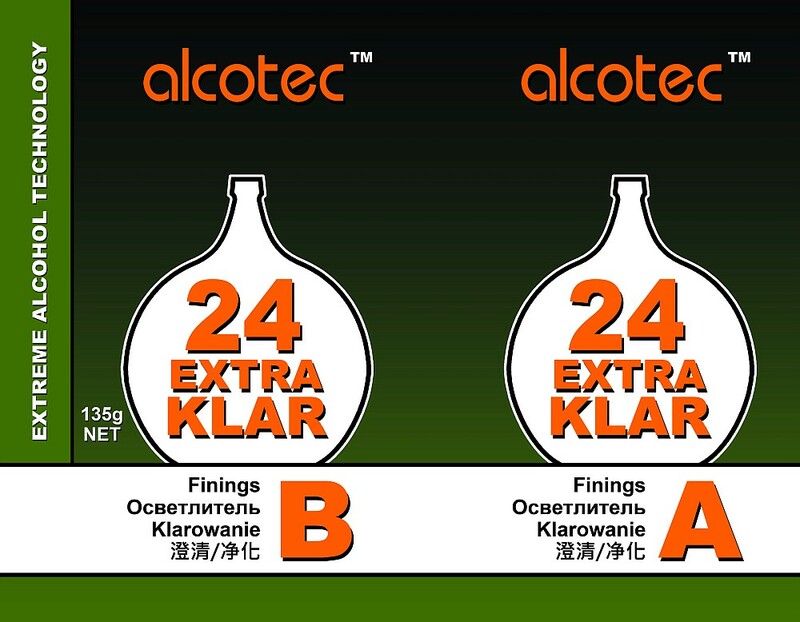 Our main brand is Alcotec but we manufacture some 15 other brands as well for the global market. 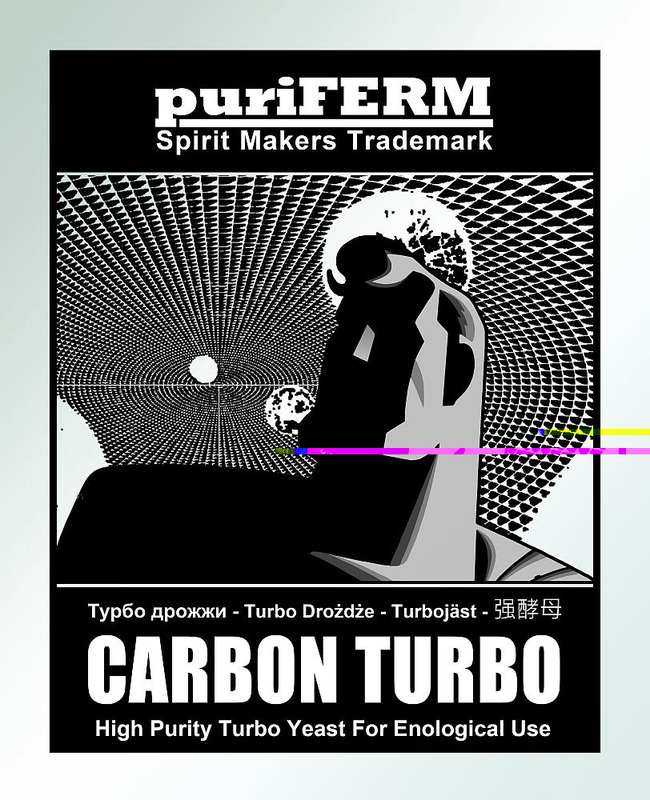 Our Turbo's are available in Australia, New Zealand, US and Canada as well as throughout Europe and many other countries. For distilling water, we make the SmartStill aircooled still. 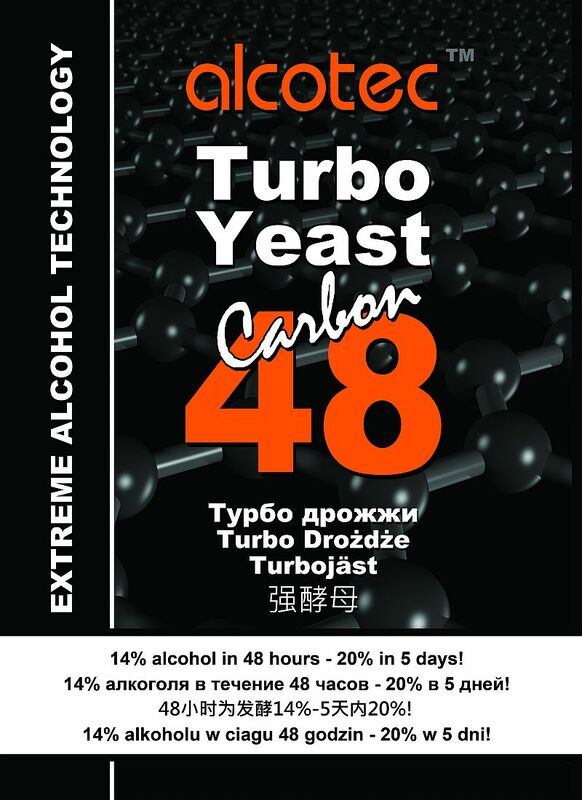 We manufacture everything from 24 hour turbos to high alcohol turbo yeasts. has taken a great step forward with the development of new wineyeasts and highly specialised nutrients used in modern wine recipes. During the last few years we have developed wineyeast and nutrient combinations for very fast fermentations which still retain the qualities of the grapes used. One example of this is the Australian Blend winemaking kit. In the high quality field, we have developed combinations of particular grape concentrates, yeaststrains and nutrients to achieve the perfect varietal wine. It is easy to make your own cider, either from kits or from fruit from your garden. You can find a lot of cider making recipes here. Home brew beer making kits - Geordie, Milestone, Muntons, Coopers and Black Rock are popular quality brands from other manufacturers. Our new Better Brew beer kits in pouch packaging has become very popular. Some of the other well known names of quality beer- and winemaking kits available on the market, from other manufacturers, are Geordie, Woodfordes, Beaverdale, just to mention a few. We have more than just winekits, beerkits and turbo yeast. We also have a large range of homebrew accessories for winebrewing, beerbrewing and home distilling.Our main beermaking homebrewkits are the Better Brew Beer Kits - the brewers quality beerkit. We also make the famous Bards Dry Malt Beer Kits. The Bards Dry Malt's are unlike anything you have seen before. Based on super quality dried malt they will produce a cleaner, more real taste than most liquid malt extract products. We also manufacture the Alcotec Basic Spirit homebrewkit for fermentation of pure hign alcohol. We also produce a small range of very high quality essences, the Alcotec range - and we stock the entire Prestige range of essences from Gert Strand AB. We are constantly developing the next generation homebrew technology. No other supplier has launched more new products during the last few years. Welcome to our website for making wine at home, brewing beer and distilling! Wine kits, beer kits, home brewing recipes wholesaler. (Swedish links: Ölsats-skolan finns här och allt om vinsatser här. Turbojäst hittar du här.). Wine making kits and home brew. Supplier and wholesaler of homebrew beer kits.